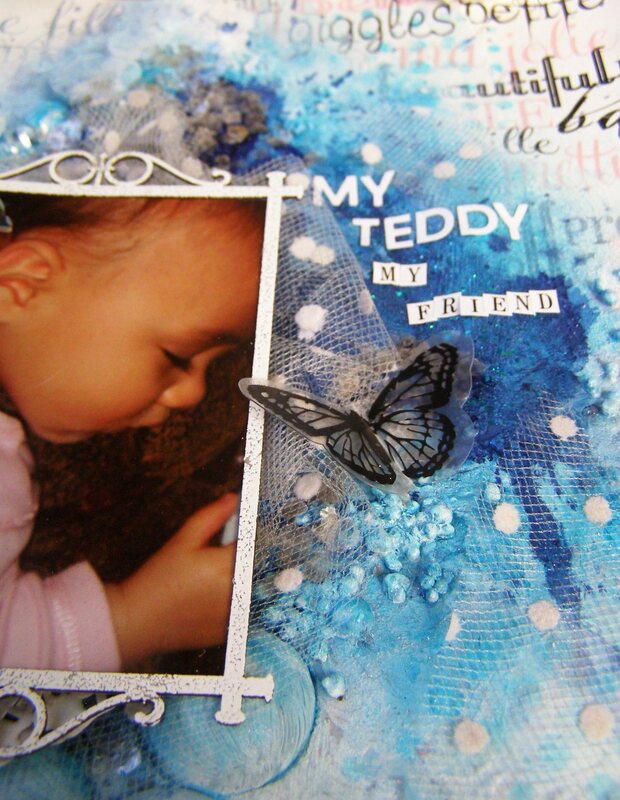 I’ve used some yummy Scrapmatts chipboards & stencils, & my favourite Tattered Angels mists & Canvas Corp papers. 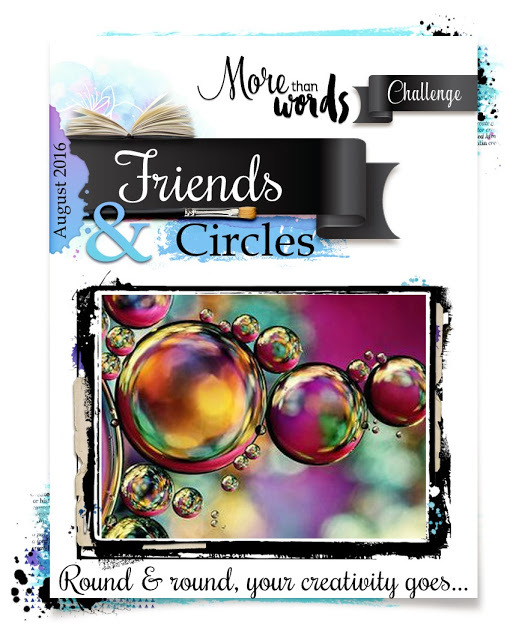 I totally love everything about this challenge…it had me at circles & friends! My daughter from when she started sleeping in her cot, wouldn’t sleep without her friend teddy. I say thank goodness for teddy bear, she sleeps well most nights. Now that she’s nearly 6, she still has it in her bedroom. 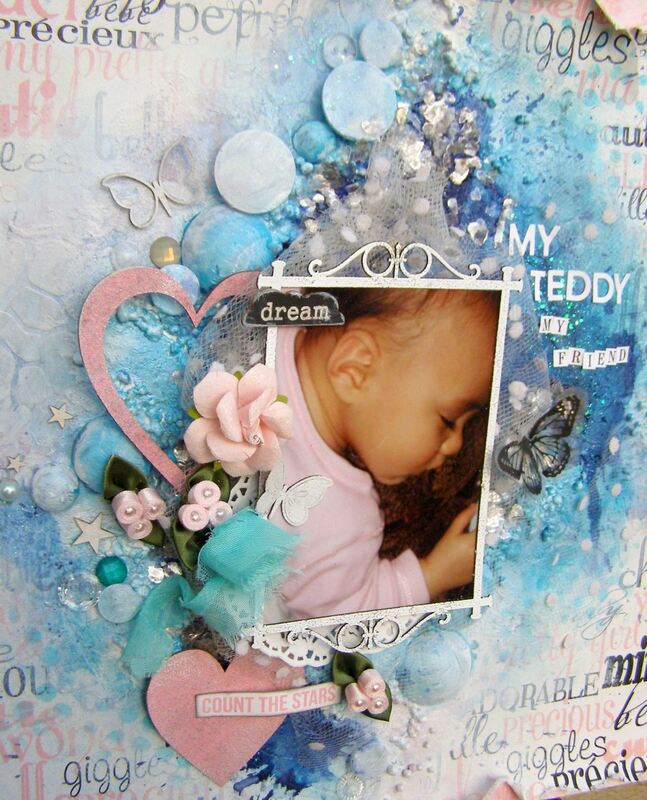 I’ve embossed the frame white, & I love how it frames her sweet picture. They look so peaceful & heavenly when they’re asleep, quiet & behaved like that, eh? 🙂 I’ve inked the butterflies & stars chipboards white to match the white shades of the frame & the layout. I didn’t skimp on adding lots of different circles on the page. I’ve used Finnabair’s Art Stones & Art Melange (some I’ve used upside down), buttons, pearls, bling, circles on the frame, circles on the lace, round doily, circles stencil & pink circle roses. 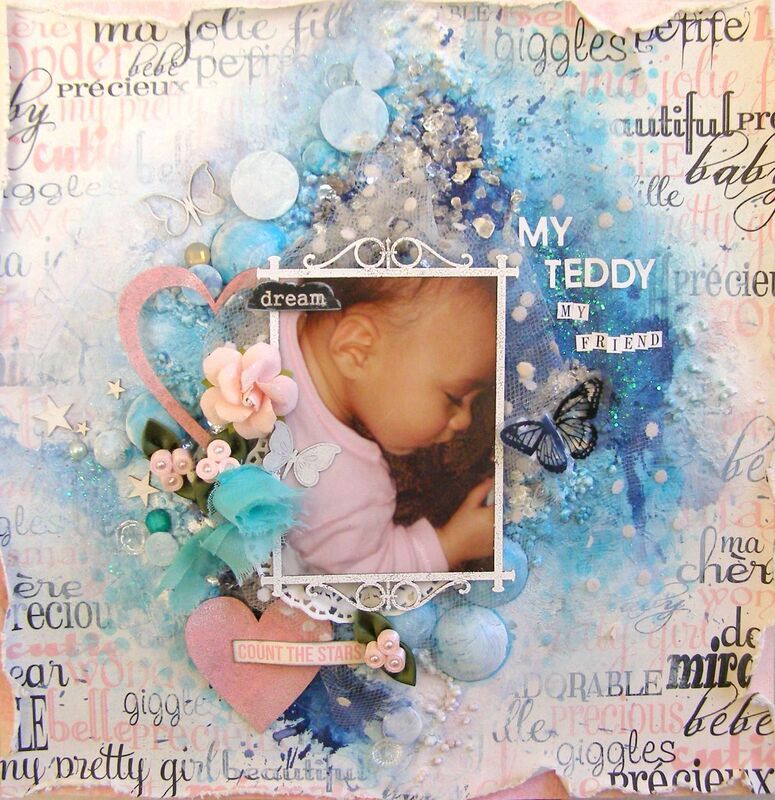 For the hearts chipboard, I’ve given it a coat of Tim Holtz’s grit paste. Once dry, I then misted it with Tattered Angels Cadillac Pink Glimmer Mist. I’ve also applied this paste on my background, along with some good ol’ texture paste through Scrapmatts’ Cobblestones Stencil. Behind the Baby Girl Words on Ivory Paper is a layer of the Pink & Ivory Toile Paper which I’ve lightly colored with the same Cadillac Pink Glimmer Mist. For the burst of blues around the frame, I’ve layered the delicious Splash, Teal High Heel, & Navy Chalkboard Mists. I’ve finished it all off by adding some mica flakes & some subtle glitter. Thanks for popping in. I enjoyed creating this page & thank you for the superb inspiration from the More Than Words creative team. For more Canvas Corp Brands goodies, click here. 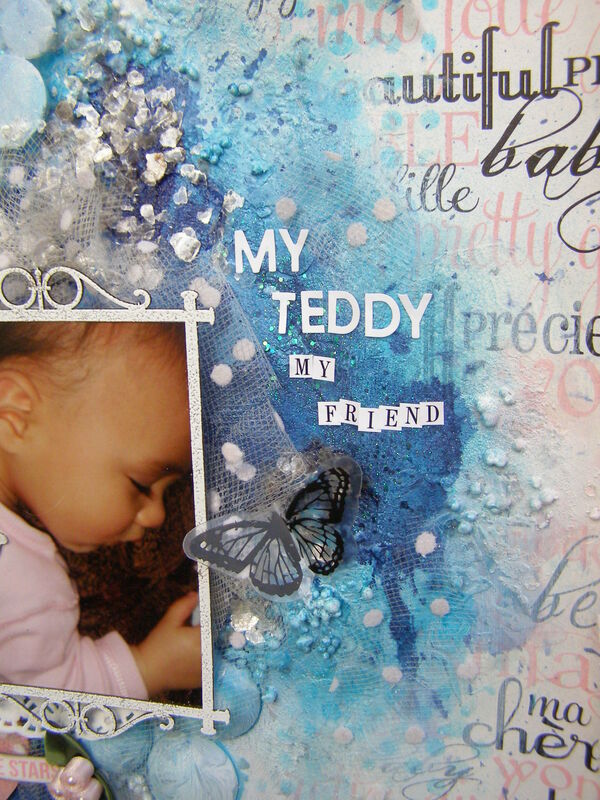 And for Scrapmatts chipboards & stencils, click here. Welcome to my creative blog. I'm a blessed mom of two bubbly girls from Auckland, New Zealand. 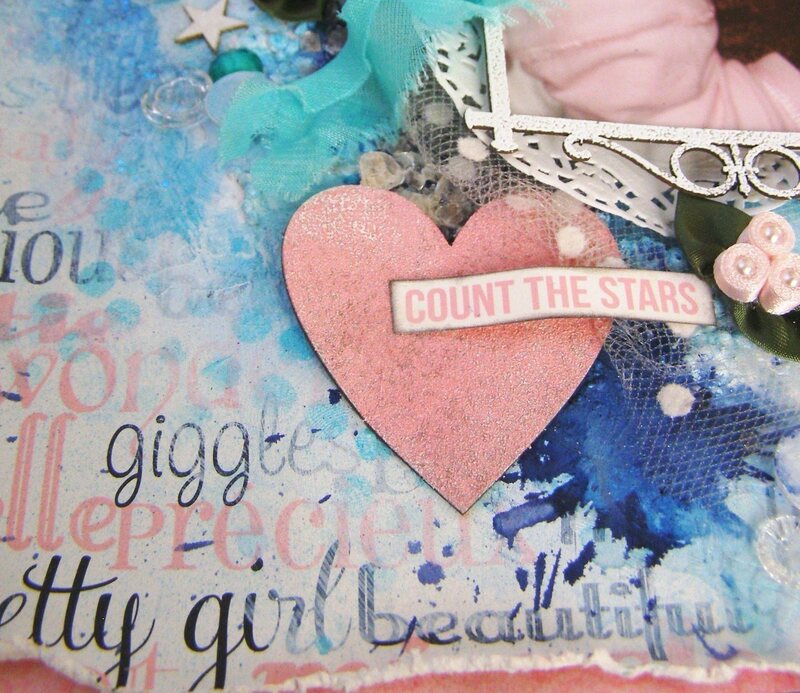 I absolutely love crafting all things fun, inky and floral. Thanks for stopping by and I hope you'll follow my creative journey. 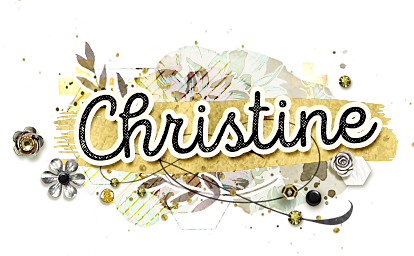 Enter your email address to follow Christine's Scrap Shack and receive notifications of new posts by email.